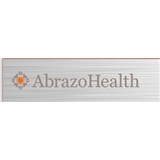 Abrazo Medical Group Goodyear (Avondale) - Book Appointment Online! I like Dr Evans. He actually listens when I speak, and is always ready to help. Very professional. Very nice. Not rushed.